The EOD Warrior Foundation is working with the EOD community and the community of Birmingham, Alabama to help build a forever home for wounded EOD Warrior. Aaron has given so much for the country, the least we can do is make sure that he and his family have a safe place to live, explains Nicole Motsek, executive director of the EOD Warrior Foundation. We are honored to support the Causeys fundraising effort. U.S. Army Sergeant 1st Class Aaron Causey was injured on September 7, 2011 while serving his third deployment to the Middle East. Aaron lost both of his legs above the knee, two fingers, and has had multiple other injuries, all resulting from being hit by an improvised explosive device or IED. Over the last five years, Aaron has undergone 40 surgeries. The 12-year military veteran received the Bronze Star and Purple Heart medals and is now in Alabama and will be breaking ground on his new home on May 27, 2016. Most of our nation’s severely injured military members are provided a mortgage-free home that is safe and accessible, with features adapted to their injuries. The EOD Warrior Foundation is working with the EOD community and the community of Birmingham, Alabama to help build this home for the Causey family, which includes Aaron, his wife Kathleen and their daughter Alexandra Jayne (AJ). The Causey’s story has been shared in the award-winning documentary The Next Part, which has been shown at several film festivals and won several awards. 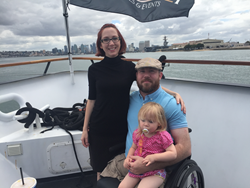 The EOD Warrior Foundation and the Causey family are seeking $350,000 in donations to finalize the construction of the house and provide the family with a mortgage free home. AOD Federal Credit Union has been incredibly generous and supportive both financially and by helping the Causeys ensure they can execute on this project. 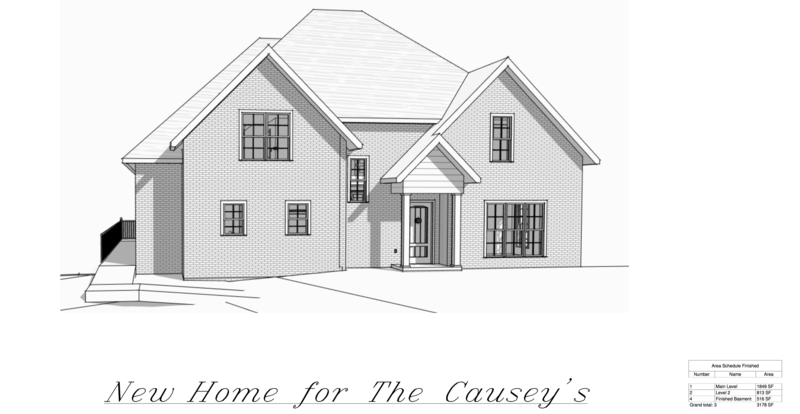 Ashley and Jennifer Colburn own AJ Homes Inc. (http://www.ajhomesinc.com) and as the builder, they have worked with the Causeys to ensure their home is exactly what they need - and is safe for them as a forever home. “The AOD Federal Credit Union thanks the EOD Warrior Foundation for the opportunity to help build a home for severely wounded soldier Aaron Causey. We everyday citizens have no idea how much pain and suffering he endured while serving to protect this country and his neighbors,” says Gordon "Doc" Williamson, chairman, board of directors for AOD Federal Credit Union. There are two ways to make a donation to support the Home for a Hero cause, including texting BRAVE to 27722 (Msg & Data Rates May Apply. Terms: mGive.org/T) to donate $10, and logging online to make a donation: EOD Warrior Foundation: Home for a Hero Campaign. The EOD Warrior Foundation is a nonprofit organization whose mission is to help EOD warriors and their family members to include families of fallen EOD warriors. Specific programs include emergency financial relief, college scholarships, hope and wellness retreats, and care of the EOD Memorial located at Eglin AFB, FL. To learn more about the EOD Warrior Foundation,, visit their site at: http://www.eodwarriorfoundation.org.